Is screen time affecting boys’ bones? Teenage males who spend large amounts of time in front of a screen may have poor bone health, says new research. 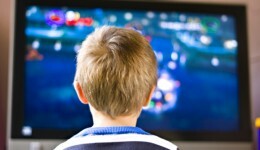 A recent study links bedroom TVs to obesity in children.